Please click the images above to read my reviews of USS Indianapolis: Men of Courage, and My Dinner With Herve for Radio Times. Please click the link above for my film of thee week segment for Ali Jones’ Saturday morning show, where I review the film “Joe” with Nicolas Cage. 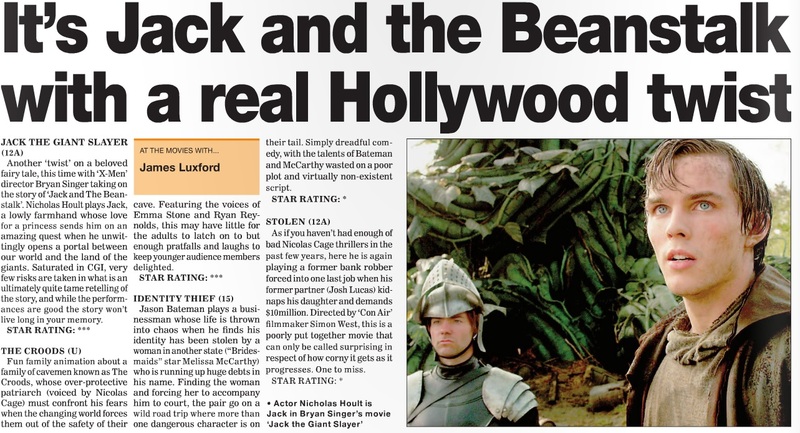 Oxford Journal/Oxfordshire Guardian/Basingstoke Observer: “At The Movies” column, 22nd March Releases. Above is the “At The Movies” column for this week, as it appears in Oxford Journal and its sister papers Oxfordshire Guardian and Basingstoke Observer. Reviews include “Jack The Giant Slayer”, “Identity Thief” and “Stolen”. Please click above for the larger version or click here to read the Journal’s e-paper. 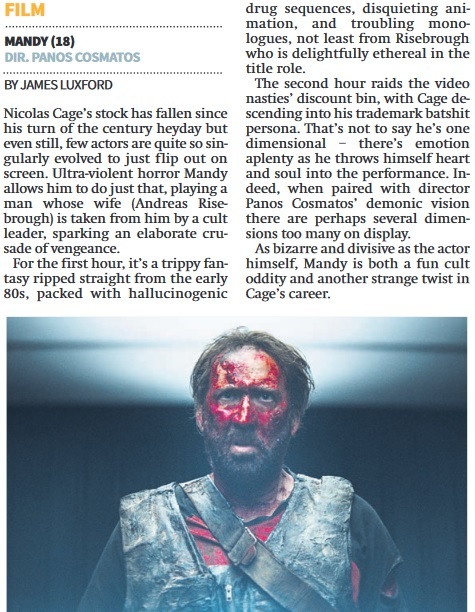 Posted in Basingstoke Observer, Oxford Journal, Oxfordshire Guardian | Comments Off on Oxford Journal/Oxfordshire Guardian/Basingstoke Observer: “At The Movies” column, 22nd March Releases.